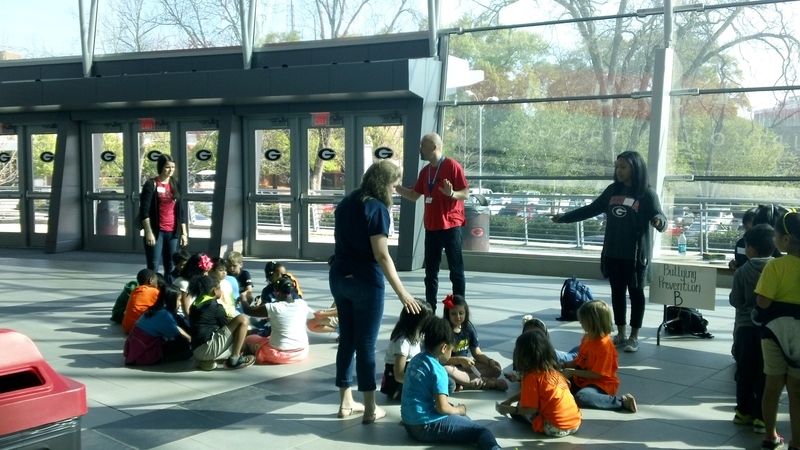 In March a group of Clarke County School District (CCSD) 2nd graders came to visit our campus as part of the Experience UGA program. 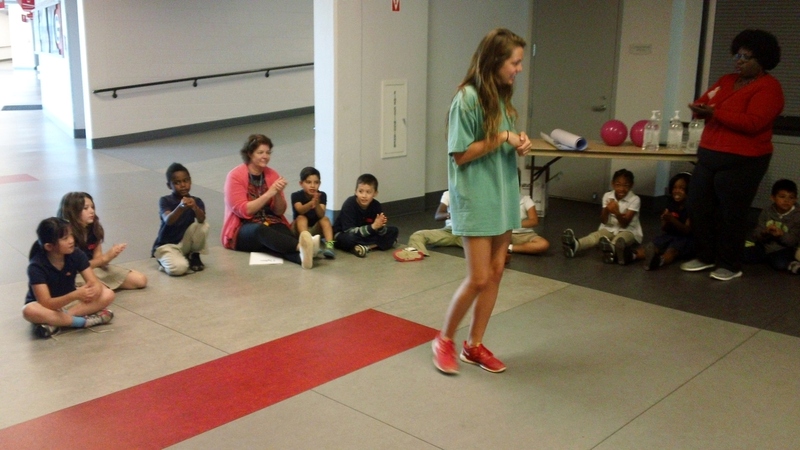 The focus of this particular trip was public health and incorporated the importance of physical fitness. 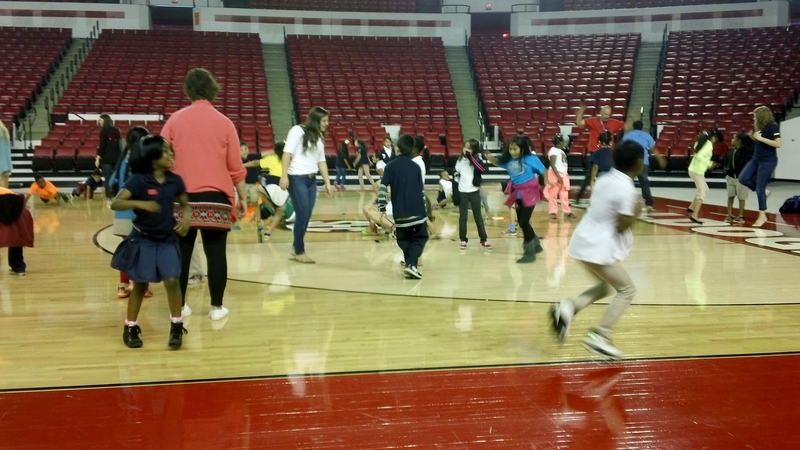 UGA students, under the coordination of College of Public Health Graduate Assistant Deenene Chandler, guided a number of stations that each of the small groups of students and teachers visited and engaged interactively. 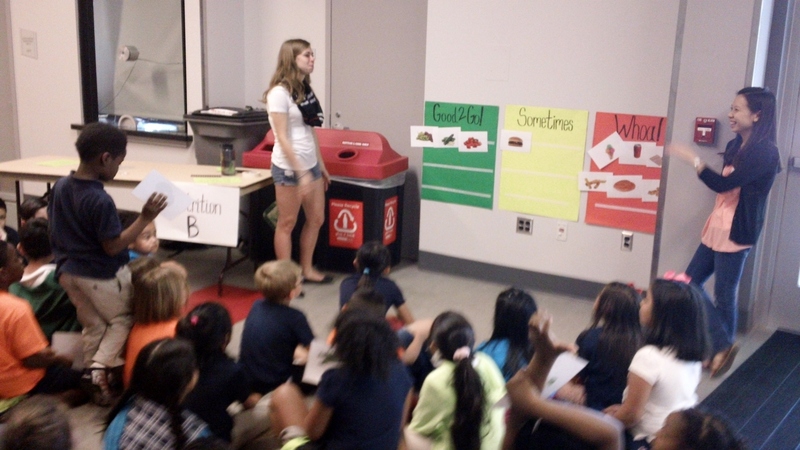 The interactive educational stations addressed: Nutrition, Physical Activity, Hand Washing & Germ Spread, and Bullying Prevention. 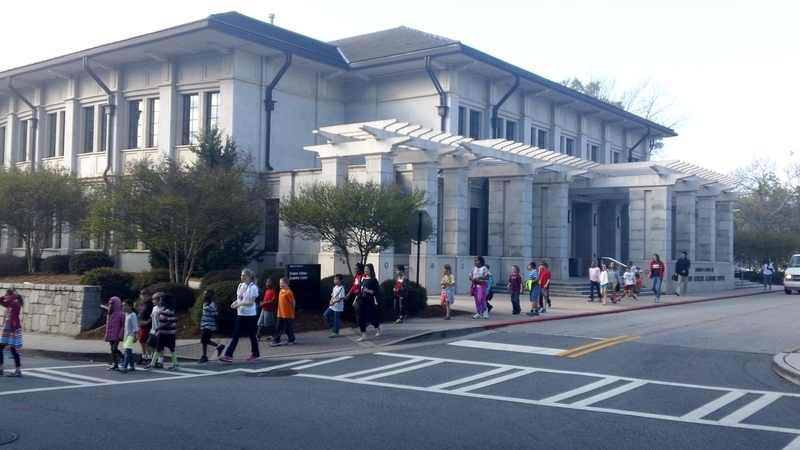 I loved watching the second graders who were from the nearby Barrow Elementary School actually walk to our campus for the Health field trip. How apropos, no? It’s always so wonder to see their bright and excited faces when they come to campus. We are equally excited because we know that it will be a learning experience and memory we all will cherish throughout our lifelong learning journeys. 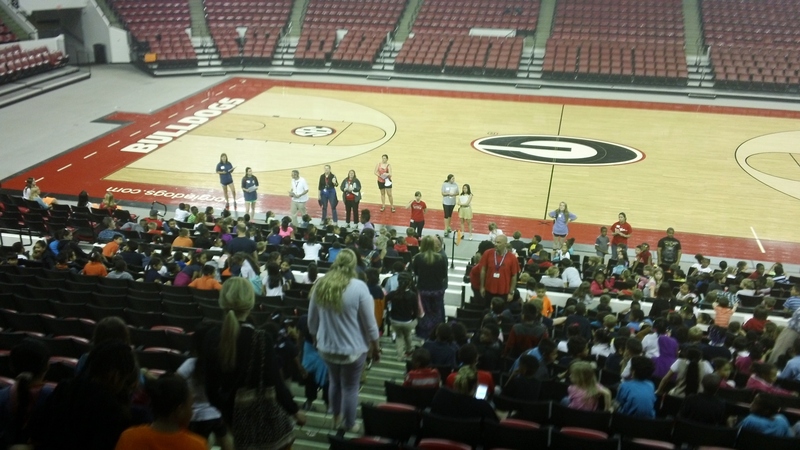 Teachers and students arrive to the Coliseum seating area to a surprising nonchaotic scence as hundreds of children, their teachers and the UGA volunteers provide instruction on the day’s itinerary. 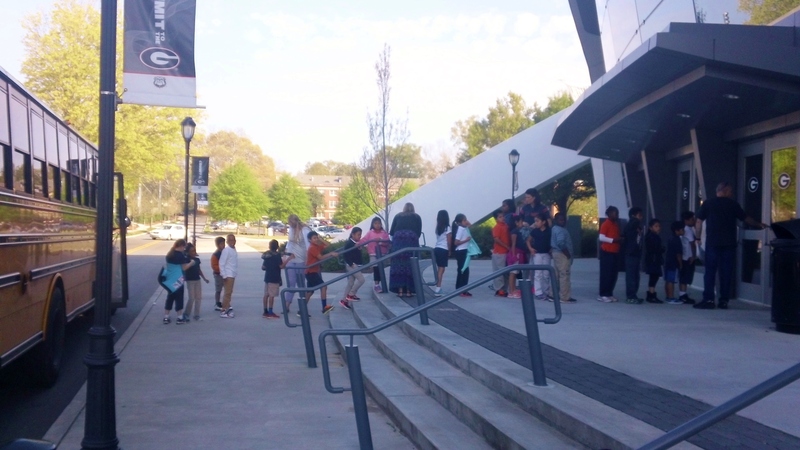 After which groups of second graders are divided up into groups of about 8-10 children as they tour the various stations set-up throughout the building. 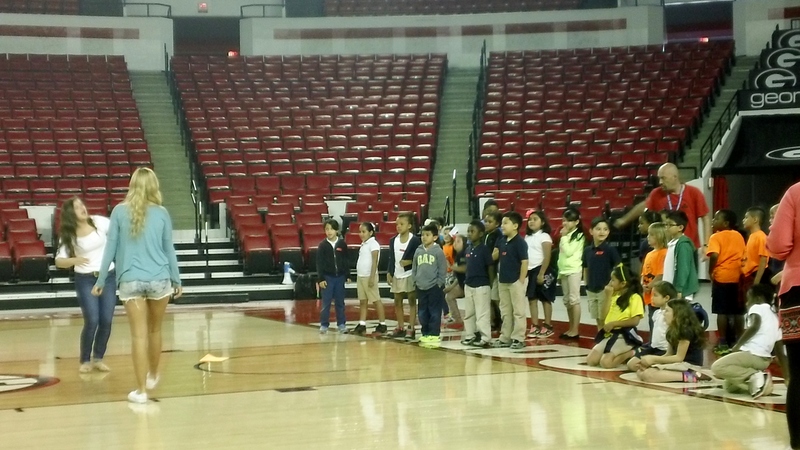 Here UGA students engage the children in interactive expression and education about how to effectively negotiate the challenge of bullying in schools using some best practices strategies. 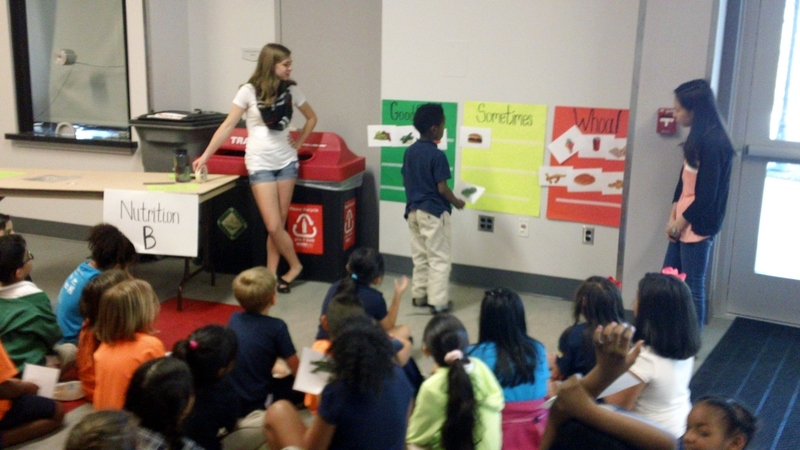 The students after engaging with UGA Public Health Students are encouraged to write down and share their experiences. They were encouraged to think of ways that they could experiences a positive outcome under a bullying situation if it were to occur. At this station the children were shown how to make healthy choice with regards to what they eat and how portion sizes can effect diet. They also where challenged to place “food cards” under the appropriate category. They had three categories to selection from: 1) “Good to Go!” foods, 2) “Sometimes” foods, and finally 3) “Whoa!” foods and how their intake should be minimalized. 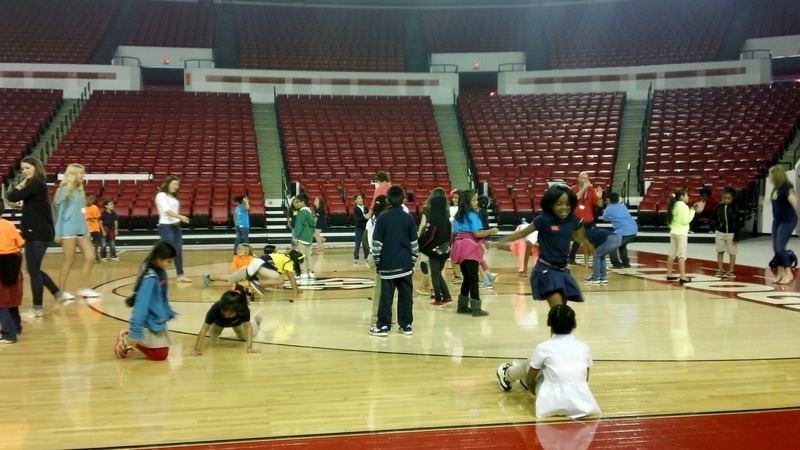 I enjoyed this station particularly well as the students had the opportunity to engage in physical exercises as teams. They were mirroring each other’s movements as the stood face-to-face and to see the smiles an hear the giggles coming from them was priceless. It was also a wonderful reflective opportunity for me to remember how important “gym” and physical fitness was to all public school curriculum. As a child, I vividly remember the energy me and my classmates would put forth in an effort to earn “The President’s” physical fitness award certificates. I was happy to see a valuing of such learning being an important focus of this public health field trip. Particularly, in light of concerns for childhood obesity and it’s related diseases. UGA Public Health student demonstrates proper hand washing techniques. 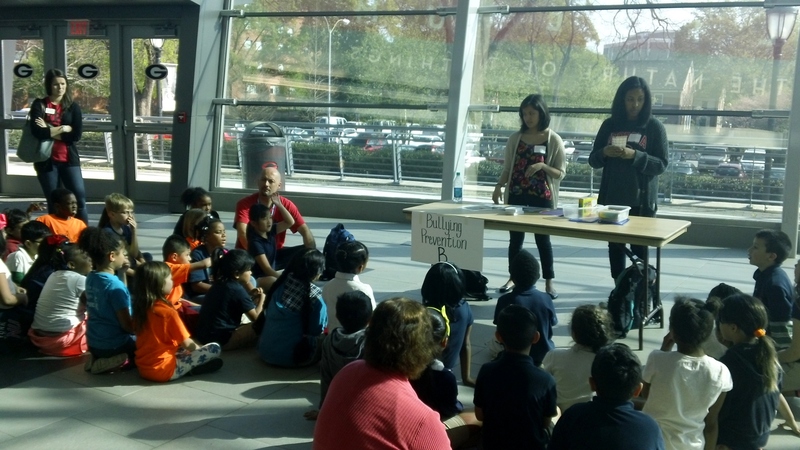 At the hand washing station children learned the importance of keeping their hands cleans to avoid harmful bacterial (i.e., germs). They sang the ABC…s song as methodology for having the proper length of time under the water (or with a sanitizer) for washing their own hands. 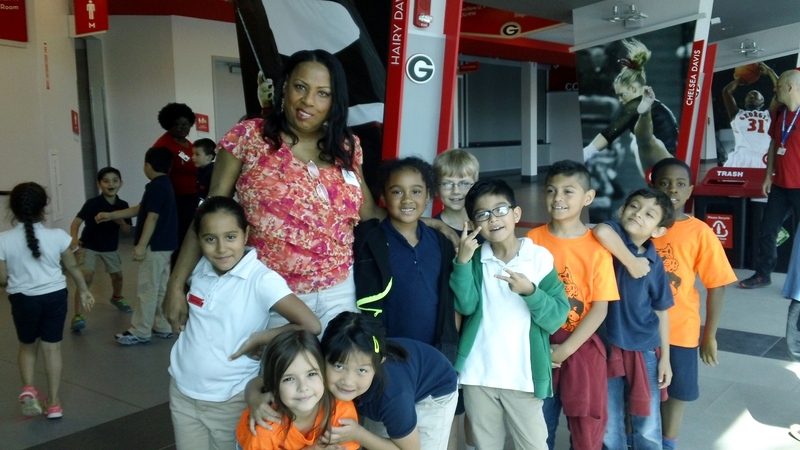 This is my favorite picture taken with the Experience UGA program for CCSD students. 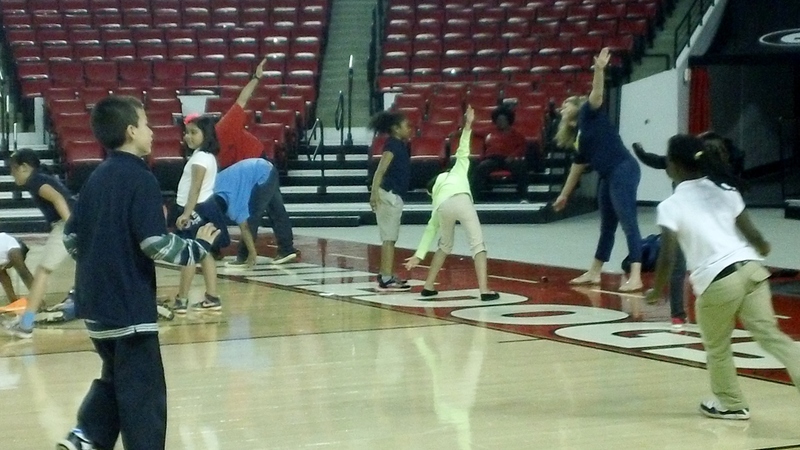 This picture (and it’s associated experiences)has been one of my favorite so far with the Experience UGA program. The little girl in front with the yellow barrette in her hair, bent over hugging another little girl was so precious and full of confidence (so you know I was lovin’ that alone). Well, as we were talking she asked me a personal question about an injury I had in high school. A tumor damaged the 7th facial near on my left side of my face so I sometimes don’t have symmetry when I am talking, but can achieve it at rest and/or typically pretty well for photos (as you can see above).